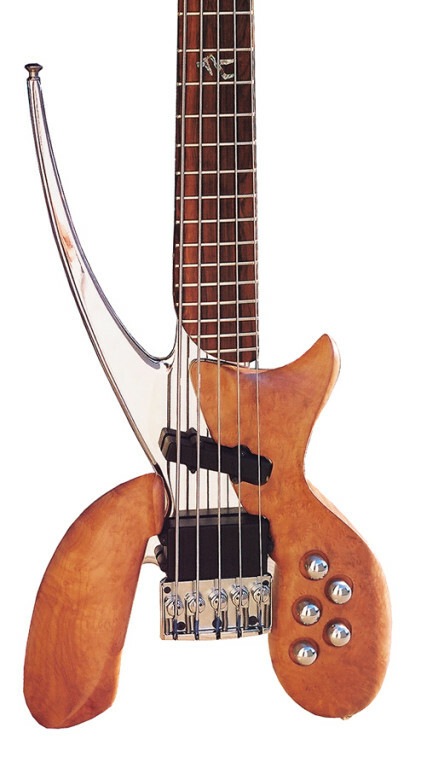 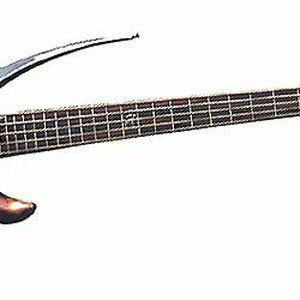 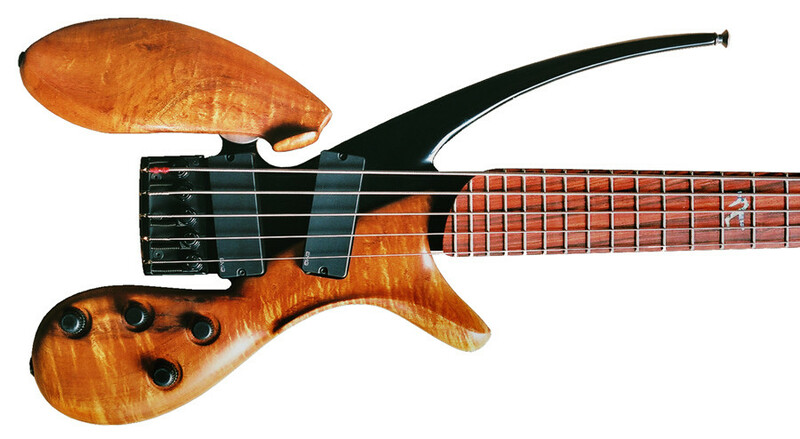 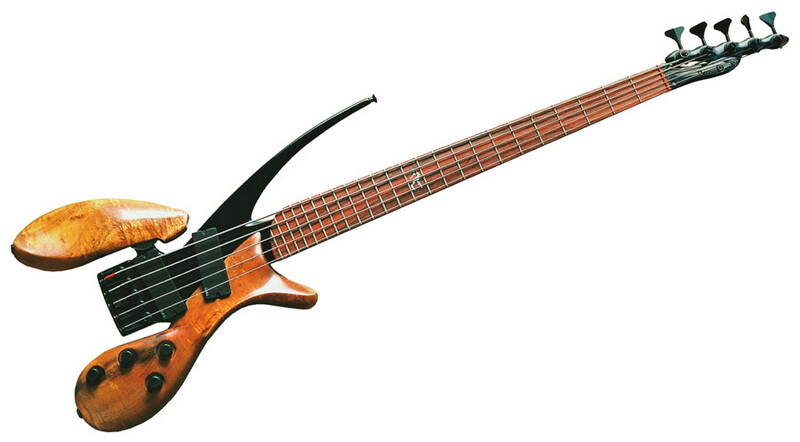 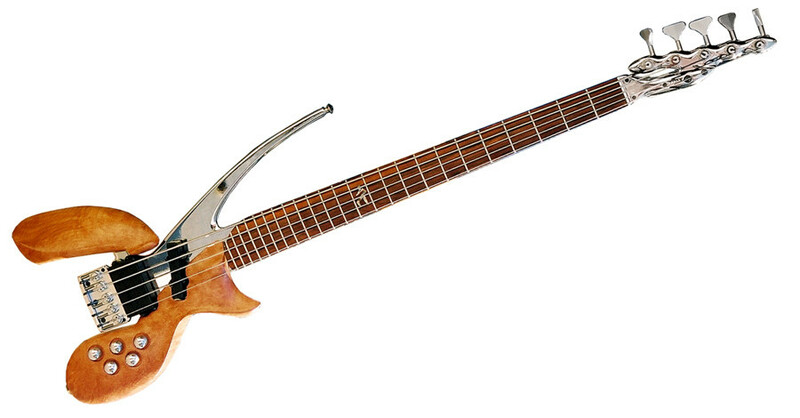 The 5-string conventional magnetic pickup model. 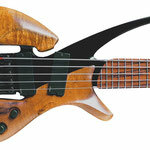 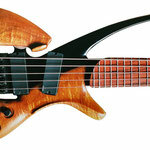 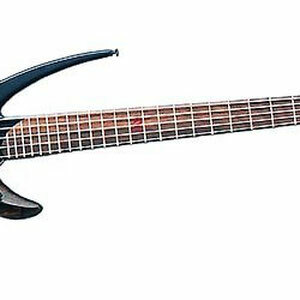 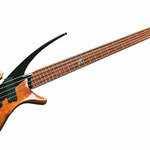 The T501 and T502 models come with either EMG pickups & preamp, or with a Bartolini pickup/preamp package. 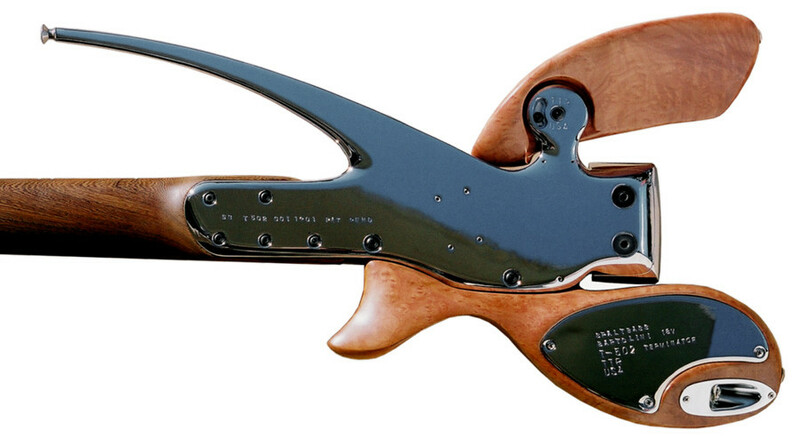 They have a custom stand, since the hybrid configuration does not fit a conventional stand. 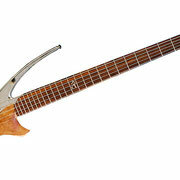 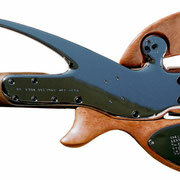 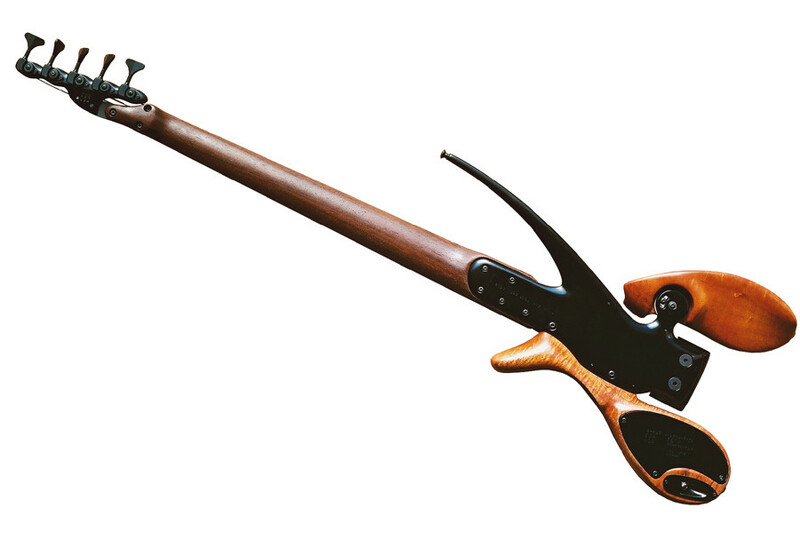 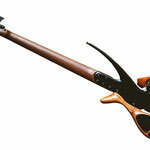 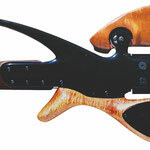 Flame Koa body wings, Wenge neck w/Cocobolo fingerboard, black anodized metal parts. 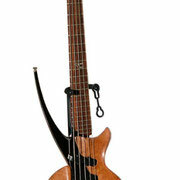 EMG soapbar pickups and BQC preamp. 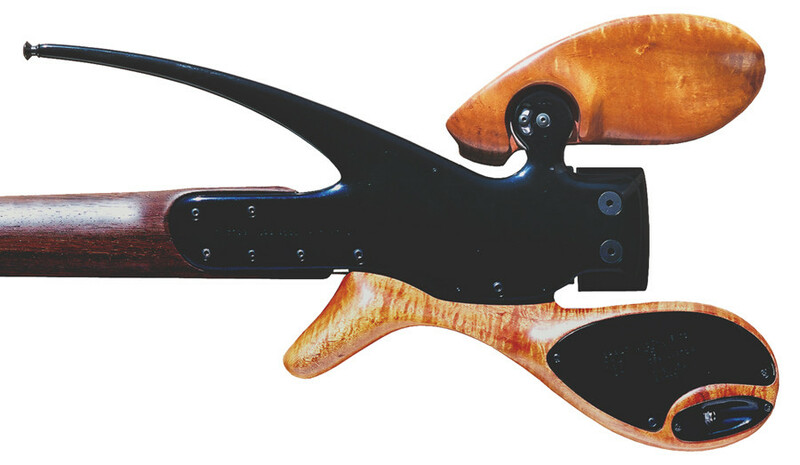 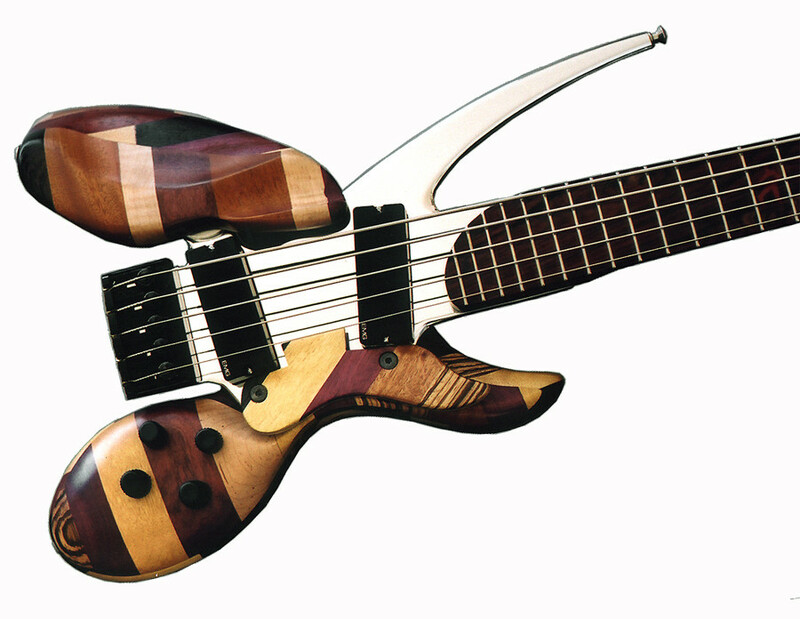 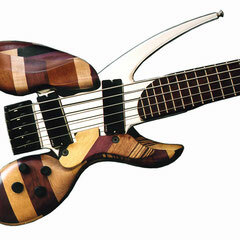 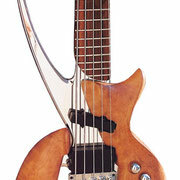 Madrone burl body wings, chromed aluminum metal parts, Wenge neck w/Cocobolo fingerboard. 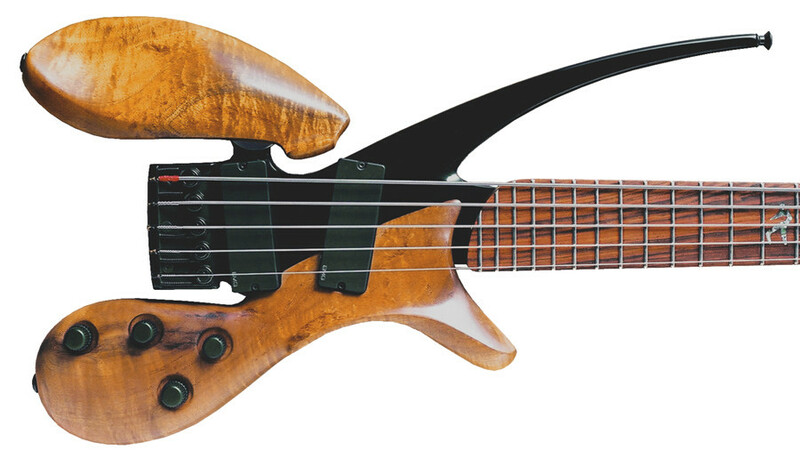 Bartolini single/humbucker combination w/Bartolini preamp.